Since the first volume of this work came out in Germany in 1937, this book, together with its first volume, has remained standard in the field. 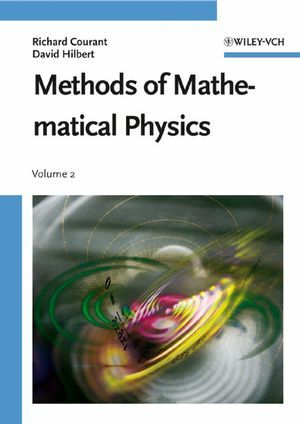 Courant and Hilbert's treatment restores the historically deep connections between physical intuition and mathematical development, providing the reader with a unified approach to mathematical physics. The present volume represents Richard Courant's final revision of 1961. Richard Courant (1888-1972) obtained his doctorate at the University of Göttingen in 1910. Here, he became Hilbert's assistant. He returned to Göttingen to continue his research after World War I, and founded and headed the university's Mathematical Institute. In 1933, Courant left Germany for England, from whence he went on to the United States after a year. In 1936, he became a professor at the New York University. Here, he headed the Department of Mathematics and was Director of the Institute of Mathematical Sciences - which was subsequently renamed the Courant Institute of Mathematical Sciences. Among other things, Courant is well remembered for his achievement regarding the finite element method, which he set on a solid mathematical basis and which is nowadays the most important way to solve partial differential equations numerically. David Hilbert (1862-1943) received his PhD from the University of Königsberg, Prussia (now Kaliningrad, Russia) in 1884. He remained there until 1895, after which he was appointed Professor of Mathematics at the University of Göttingen. He held this professorship for most of his life. Hilbert is recognized as one of the most influential mathematicians of the 19th and early 20th centuries. His own discoveries alone would have given him that honour, yet it was his leadership in the field of mathematics throughout his later life that distinguishes him. Hilbert's name is given to Infinite-Dimensional space, called Hilbert space, used as a conception for the mathematical analysis of the kinetic gas theory and the theory of radiations. General Theory of Partial Differential Equations of First Order. Differential Equations of Higher Order. Potential Theory and Elliptic Differential Equations. Hyperbolic Differential Equations in Two Independent Variables. Hyperbolic Differential Equations in More than Two Independent Variables.